I read these books as a kid in the early 80's, then I came this video on Vimeo and it covers all the major space craft in the 1st Terran Trade Authority book. The TA books were excellent. The illustrations are detailed and imaginative, the descriptions are well-written, wonderfully in character, and fascinating. Special thanks to the creator of this video for the trip down memory lane! Wonderful artwork and stuff you've done with the video. These books were sci fi campaign crack as a kid for me, I could sit and look through the artwork for hours and dream about the plot, background, and adventures from this book. 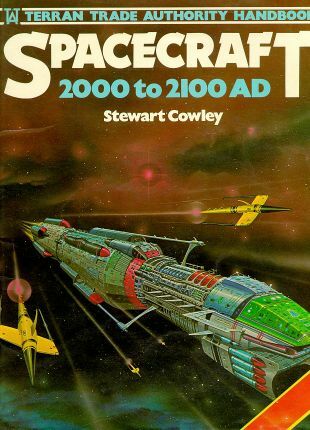 The Terran Trade Authority Space Craft 2000 - 2100 AD book was a nice bridge gap from the last gasp of the pulp era sci fi to the Star Wars/Space 1999 80's generation. These books were campaign rpg crack and perfect drag and drop old school sci fi goodness perfect for running Traveler or any of the old school space opera rpgs on the market in the 80's. According to the series original timeline, humans - aka 'Terrans' - became starfarers in the early 21st century, with the development of the DeVass Warp Generator. This is described as a spacefold-style faster-than-light drive, which brought space at the origin and destination into proximity, allowing a vessel at the former to transfer to the latter without crossing the intervening distance. The future history states that after remote exploration of nearby star systems, contact was established with the inhabitants of the Alpha Centauri star system (the 'Alphans'), with whom Terrans quickly became friends and allies. The second alien encounter at Proxima Centauri (with the 'Proximans' - long antagonistic towards the Alphans) resulted in the two-decade long 'Proximan War.' This war drove the development of space technology, resulting in many of the starship designs that inhabit the TTA universe and facilitating its further colonization. This book covers the events immediately prior to and after the Proximan War Era and descriptions are presented in that context. The book is presented in the same manner as an aircraft recognition guide, made up entirely of spacecraft descriptions which relate their role and performance in the war if applicable, and occasionally their history afterwards. (Some of the ships in the book are nonmilitary in nature.) There is also a section on unknown aliens. There are ton of resources on this classic series of books especially the first of the Terran Trade Authority Spacecraft books. There are sci fi fans whom I know who obessively catalog and study this series of books. 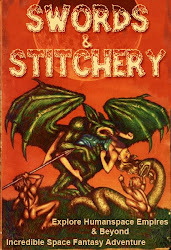 Everything about them was classic, here's a great series of links tracing everything about the first book and the whole series of these wonderful 70's and 80's bits of sci fi culture goodness. Seeing those amazing images from what is probably the single favourite book of my adolescence brought to life this way almost brings tears to my eyes. Wonderful. Great find. Thanks rainswept, I have very fond memories of it as well. Glad you liked it pal. Thank you for posting this. Those books were HUGELY influentail to me and my early attempts at artwork in elementary school and Jr. high. They fired my imagination as well, so this post was really my pleasure as well. Glad you liked it and I've got more coming up Niels Adair! I LOVED these books, I had them all except the cruise liners one. The 70ies / early 80ies had a really interesting take on science fiction which since has been lost. It was both optimistic but didn't shy away from human nature. Great stuff, I miss it. It was a nice bridge gap between the 60's pulp sci fi style and the sci fi mood of the time of the 70's and 80's. And no it really didn't shy away from the nature of mankind. 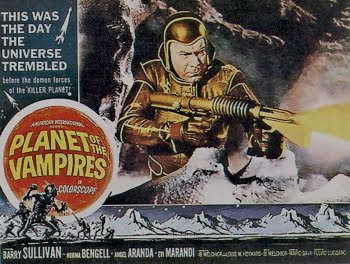 There really was a whole different take on sci fi back then. Thanks for the comment infocyde.